Fill a cocktail shaker with ice. Pour hazelnut liqueur, vodka, simple syrup, and half-and-half over ice. Cover shaker and shake until liquid is cold; strain into a martini glass. I used Whipped Cream flavored vodka and skipped the simple syrup. Very good cocktail--all the components work together perfectly. This is a really good drink for Sunday brunches. It is excellent! 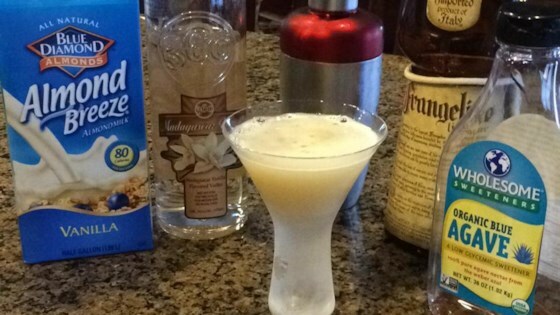 You could use any flavor of vodka in my opinion, and it would work well with the Frangelico and cream. Well done, brujah42!